‘Me, too!’ versus, ‘So what?’.” This quote is attributed to Jim Rohn. Recently, a friend from Aikido has ben suffering with a serious knee and back problem that weren’t improving. They really affected her quality of life, including her participation in Aikido. She began going to a chiropractor recently. This chiropractor is a well known communicator who has lectured all over a large town for probably 15 to 20 years. I quizzed her a little after her first few visits, and while she may not be fluent in terminology yet, she sure gets ‘what goes where’ and how serious it really is. These Neuropatholators of his are 30 years old and still ‘enlighten’ patients every day. EVERY DAY! That’s about 33 cents per work day. Unlimited new patient potential for only 33 pennies a day. Jim Rohn is almost spot on. Mr. Rohn refers to them as listeners though and I believe that by engaging even more senses, especially the eyes, patients will more readily want what you have. Do you believe a 40 year record of patient conversion success will work for you? We haven’t been sitting still. The Neuropatholator Touch is more powerful, faster and mind-blowingly more comprehensive (like to the power of 5,000). Yeah, the Neuropatholator was an incredible ‘one trick pony’. But there’s so much to say over 20, 40, 60 visits. That’s why we created (and have evolved since 2001) the Neuropatholator Touch Software. 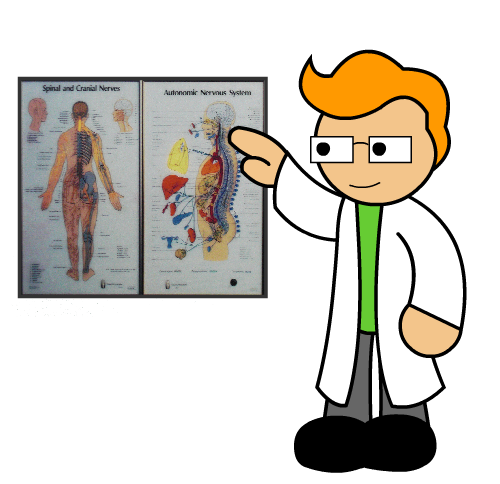 Every bit as effective as the classic wall chart and chock full of attention grabbing visuals that help create lifestyle patients. It’s like having the top 20 contestants of America’s Got Talent rather than just the juggler. Our wall chart style starter module of software would only be 7 cents per day using the above example. What if this only helped 1 more patient per week raise their hand and say, “Yes, Me, too! I’m tired of the medical treadmill, I’m still hurting. I want Chiropractic. I want you!” Would that be a good thing? You’ll see lots of hands raised when you commit to enlightening with the Neuropatholator Touch by Visual Odyssey. 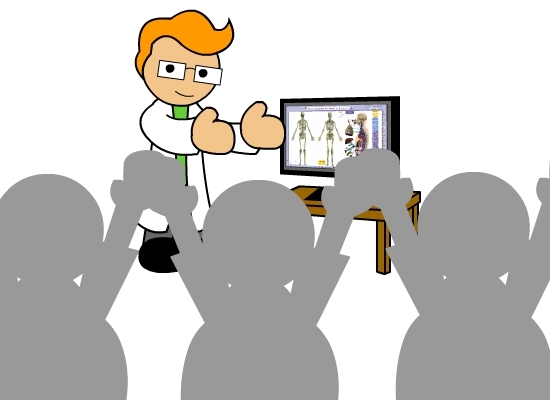 Raise your hand and join the thousands of Chiropractors just like you who needed a few extra minutes per day and wanted to see more referrals. You’ll wonder how you ever did without it. Want to see a comparison of the Neuropatholator Wallchart to the Neuropatholator Software? Click here. Want to see a 2 minute video of the Neuropatholator Starter? Click here. Want to speak with Bruce Goldsmith about how this might work for you? Call 770-646-8031 between 9:30 and 4 eastern time M-Th.